A little over a year ago, I finished a treatment that saved my life and gave me purpose. In October 2016, I was diagnosed with stage IV of Hodgkin lymphoma and was fortunate enough to receive medical care that allowed me to conquer my cancer journey. 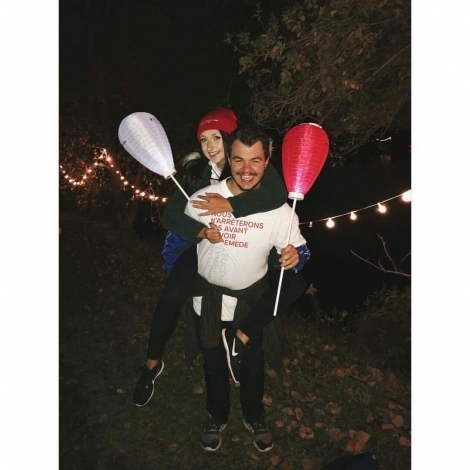 As a survivor, I decided to give back to The Leukemia & Lymphoma Society of Canada (LLSC) by participating in the Light The Night Walk at Parc Jean-Drapeau. I chose to volunteer for this cause as it improved my quality of life during my chemotherapy treatments by connecting me with people who I could relate to on an emotional and spiritual level. Volunteering for an organization that is dedicated to blood cancers gave me purpose as I believe that my involvement in such a meaningful cause can change the landscape of cancer and advance the process of finding a cure that affects far too many Canadians. As an active advocate for young adult’s health, I used my social media platform to raise awareness about a cancer that is often overlooked and to manifest that. Someday is today!